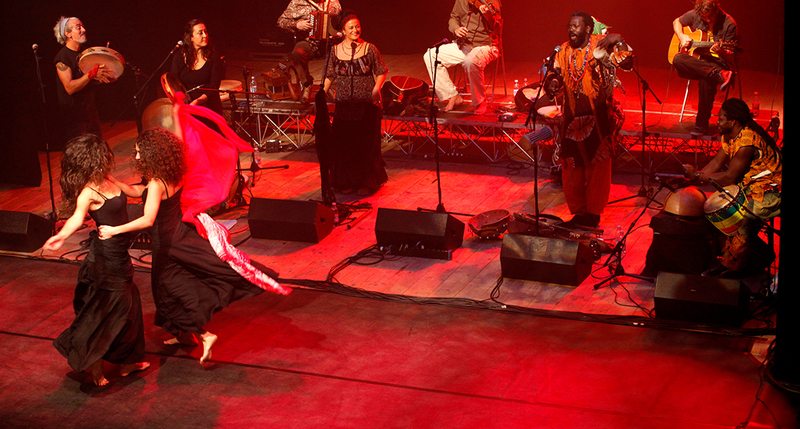 An original and enthralling encounter were pizzica and taranta meet African rhythms, the frenzy of tambourines dialogues with talking-drums, Griko chants combine with the oral tradition of griot from Mali. 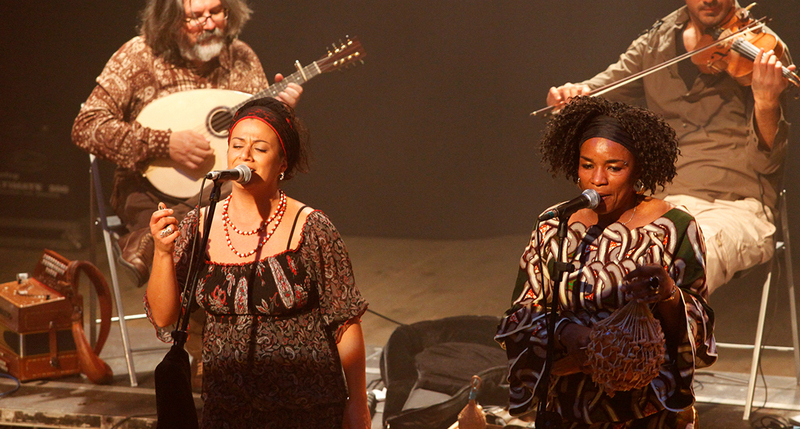 On the one hand is Officina Zoè, a popular folk group of Salento. On the other are Malian musician and griot Baba Sissoko, singer Kandi Guira and percussionist Kalifa Kone. A mixture from below the North-South divide, proving how ancient art forms, simple and profound, can create a unique musical event across the boudaries of different “languages”. Two different places in the world both located in the South, in the same vein linked by ancient traditions founded on human artistic forms, the simplest and therefore the deepest : Voices and Percussions. Voices as expressions and communication, the Griot’s voices spread the news in the most distant villages of the savana, as the working chants of Salento women give some relief during their long working in the fields. The percussions as a vital beat of the earth and tribal ceremonies. As the African drums act as the communication and trance vehicle during the tribal ceremonies, the beat of Salentino tamburine, articulates since distant times, the healing ceremonies of the Taranta’s bites and make us re-live again the Dionysiac rituals through their rhythms. 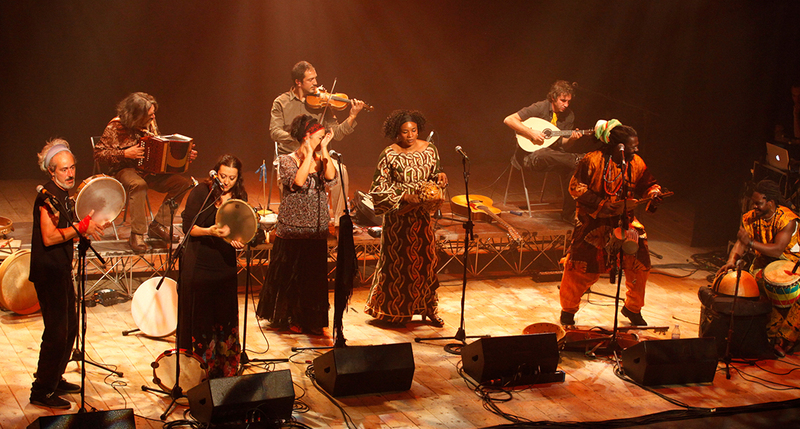 A South intersection then, for an original and engaging encounter, where the Pizzica Taranta meets the African rhythms. The hectic sound of Tamburines converse with the Talking-drum, the Griko chant melts with the oral tradition of the Mali’s Griots. Officina Zoè is the most know italian musical group of “pizzica tarantata”, an exciting rhythm from Salento Area in the deepest south of Italy. 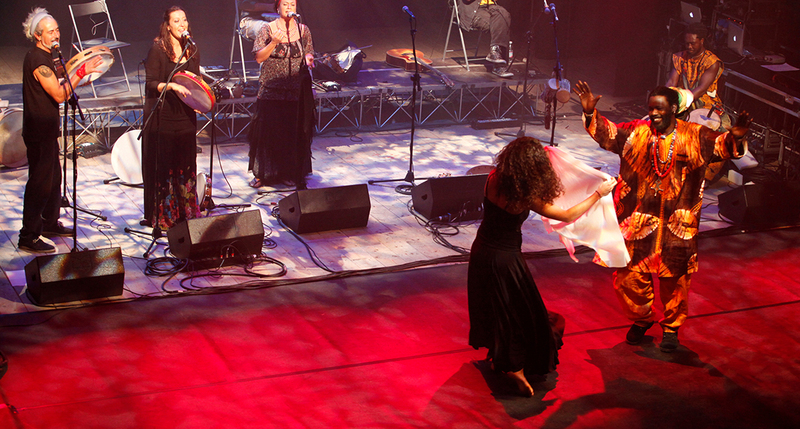 Since 1993 Officina Zoé has one of the groups to propose with most strength the musical traditions of the Salento area, especially the pizzica, that is the ancestral rhythm of Salento soul: exciting and touching, therapeutic and hilarious. 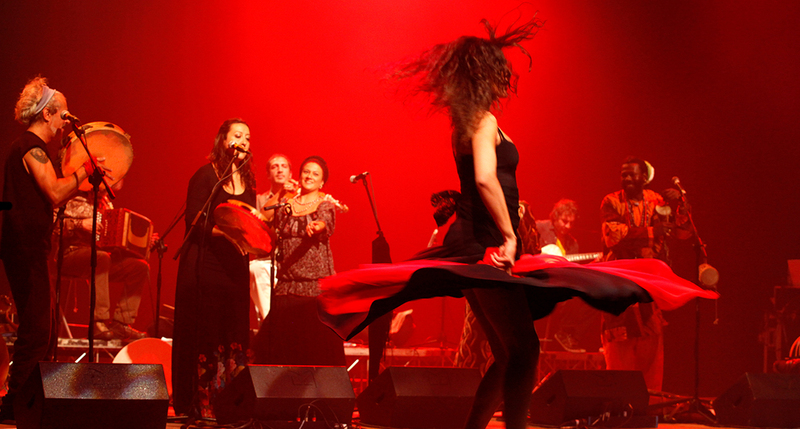 From immemorial time pizzica explodes in its absorbing hypnotic expression. 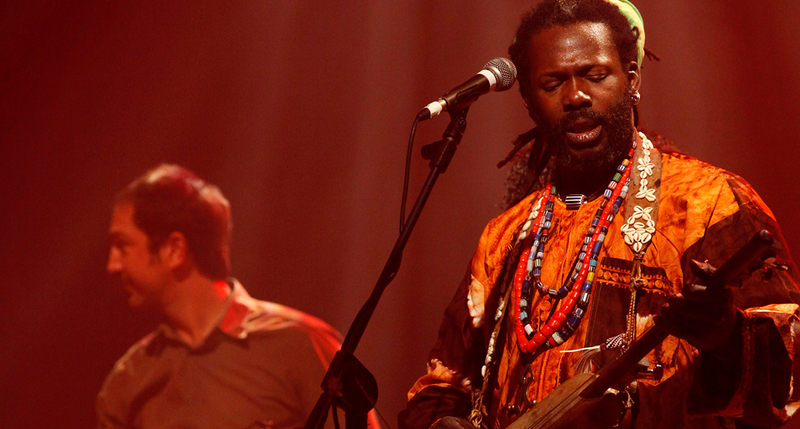 Baba Sissoko (born in Bamako, Mali) is a musician and vocalist. He plays several traditional instruments: ngoni, kamalengoni, bala, calabass, and is a master of the talking drums (the tamani). He is also a “jeli” by birth. From childhood, he played tamani, often accompanyng the traditional female griot during wedding and other traditional ceremonies. In 1985, he toured internationally with the prestigious Instrumental Ensemble of Mali Orchestra, playing the Tamani and ngoni. In 1991, he founded his Trio, Baba Sissoko & Taman Kan, and began extensively collaborating with top Malian artists and international musicians as Sting, Enzo Avvitabile, Art Ensemble of Chicago, Santana, The Wairlers, Youssou N’Dour, Salif Keita and, recently with Roberto Fonseca.